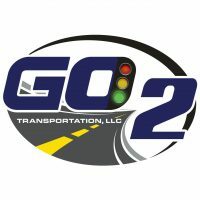 GO 2 Transportation offers peace of mind when dealing with all specialized automotive transport needs. Driven by high performance and high expectations for more than 10 years, GO 2 has been trusted by safety-conscious manufacturers, time-sensitive dealers, detail-minded collectors and individuals to deliver their priceless automobiles with the highest level of safety and service. GO 2 goes beyond ordinary expectations – every time. GO 2 Transportation is committed to the highest levels of customer service. Providing specialized automotive transportation, GO 2 is a preferred carrier for several major car manufacturers. While focusing on professionalism, safety, and teamwork, GO 2 is able to offer dedicated and committed transportation. Recognizing that communication is the key to success, the GO 2 team provides detailed reports throughout the transportation process with the use of technology, industry experience, and dedicated team members; thereby providing excellent customer service to our valued clients.